I wasn't planning on updating any of the logos that are still current, sorry. The rosters are coming soon (still can't set a date but they'll be out as soon as possible) but in the meantime, he's a new update that will be included in future versions of the rosters: an updated team logos bootup screen. I've also added some other old releases to the first post for archive purposes. The first post has been updated with the newest releases first. I'll probably use this as a central thread for all future releases including the rosters, rather than creating new threads for the rosters as I've done in the past. I'll still create standalone support threads for the new updates in the NLSC Roster Patch Support section however. Is there a tutorial for editing screen files? Or is it just the same as editing logo files? It's pretty much the same. Export the texture, modify or replace it as necessary, re-import. Not that I'm aware of. Since those were converted from NBA Live 2005 player faces, what I basically did was extract the face texture, imported it into an NBA Live 08 player face file, added an alpha layer, exported it again, halved the resolution, imported it into a copy of an existing coach face .fsh file and then renamed the .fsh file as necessary. For the headshapes, I just tried the existing ones until I found one that worked. As it is, that's possibly the long way around as I'm not really a face patcher. My guess is that the key points in the process are halving the resolution and importing into a coach face .fsh file, simply using a player face .fsh file doesn't work even if the name matches the PLAYERPKG value for the coach. 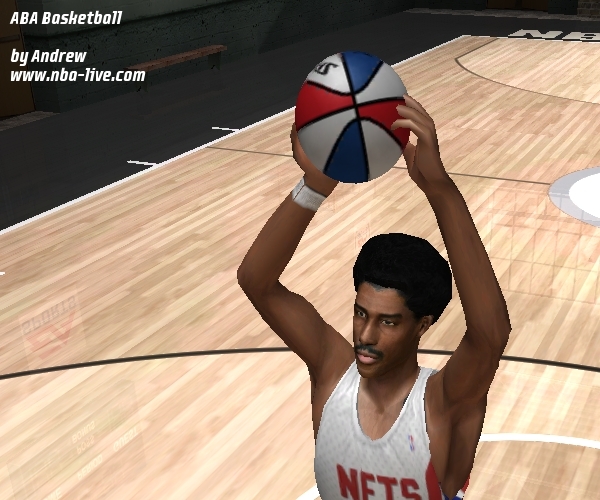 Another file swap mod which will replace the game ball with the ABA-style red, white and blue ball from the three point shootout. 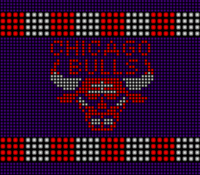 It'll be included as an alternate ball in the LIVE JAM mods. Last edited by eliyarjan on Mon Jan 10, 2011 9:30 pm, edited 1 time in total. I'm working on the rosters and getting closer and closer to getting them out. Pestering me about them is not going to make them come out any quicker or encourage me to continue doing the updates. Thanks guys. Not much too it but it's an effective way of getting an ABA-style ball in the game. It looks good, even the preview looks good too! Thanks, I thought Dr J would be appropriate. It's taken longer than I would've liked, but the new rosters are finally out! Finally!!!! Thank you for this!! well done Andrew.. what aiact should fit with your roster? The default one and I believe any of Kris' aiact updates.